My Book Affair: Jane Austen and the Curious Case of the Missing Chocolate Bar. On this Easter Sunday, spare a thought for poor Jane Austen who would not have known the joy of a Cadbury's bar of chocolate, let alone an Easter egg. It was as far back as 1687 that an English doctor, Sir Hans Sloane, tried a chocolate drink while travelling in Jamaica . It didn't taste very nice, until he added milk. That was a turning point in confectionery history. His drink was initially sold as a medicine - no doubt Mrs Sloane and her daughters could appreciate the calming effect chocolate could have on the female body and convinced their father to bring chocolate to the masses... Well maybe not. But, thankfully, Cadbury's eventually entered the market with their own special recipe, and established cafes and drinking houses where you could go and have a cup of the dark stuff and a chat. However, it was not until the mid-1800s that Cadbury's altered their recipe and began making 'eating chocolate'. So, the Georgians and poor Miss Austen, never got to take a bite of chocolate. 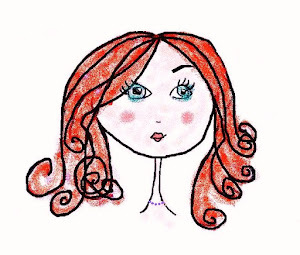 And neither, for that matter, did Elizabeth Bennet or any other of Austen's characters. I think a little square or two of Cadbury's finest would have settled Mrs Bennet's nerves no end and even given Lady Catherine something, other than her ailing daughter's marriage-prospects, to mull over. In a house containing six women, not counting the servants, a little chocolate would have gone a long way towards securing domestic harmony. Indeed, if chocolate had been readily available in Austen's time, perhaps the entire plot-line of 'Pride and Prejudice' would have been altogether different. 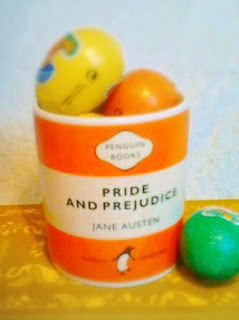 So, after all, in a world without proper chocolate, it is Mr Bennet who really deserves our pity this Easter!